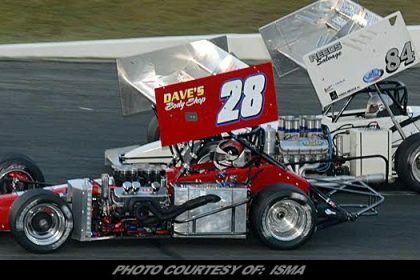 Column By: PHIL SMITH / RPW – WESTERLY, RI – The Tri-Track Modified Series in conjunction with Open Wheel Wednesday at the Seekonk Speedway was continued last Tuesday after a six day rain delay. Unfortunately, rain intervened on lap 22 of the event. 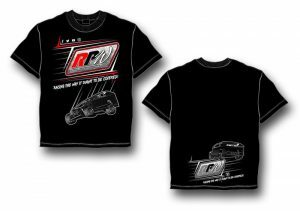 The 100 lapper was continued on Tuesday night, July 3. Richard Savory led the restart with Keith Rocco in the runner-up spot. 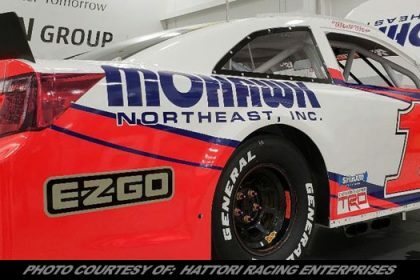 Ryan Preece, Jon Kievman, Anthony Nocella, Les Hinckley, Mike Holdridge, and Steve Masse withdrew. Chase Dowling pinch hit for Rowan Pennink. Ron Silk took the lead on lap 36 in turn one and held it until pitting for tires on lap 57. Restarting in the rear Silk made a determined run as he re-took the top spot on lap 72 and never looked back. Hirschman rallied after losing a lap early on and recovered to finish second with Chase Dowling, third. Russ Hersey and Todd Annarummo rounded out the top five. Sixth thru tenth were Sam Rameau, Jon McKennedy, Woody Pitkat, Savory and Dana D’Matteo. Rocco finished 11th. The Stafford Motor Speedway added fireworks to their Friday night program. Scoring feature wins were Ronnie Williams in the SK Modified® feature, Tom Fearn in the Late Model feature, Joey Ferrigno in the SK Light feature, Jeremy Lavoie in the Limited Late Model feature, George Bessette, Jr. in the Street Stock feature, and Jason Chapman in the Wild Thing Karts Junior Outlaws feature. In the 40 lap SK Modified feature, Williams passed Eric Berndt on lap 36 and then held off Berndt’s challenges over the final three laps. Stephen Kopcik was third. Keith Rocco came into the evening leading Williams in the standings by 28 points. 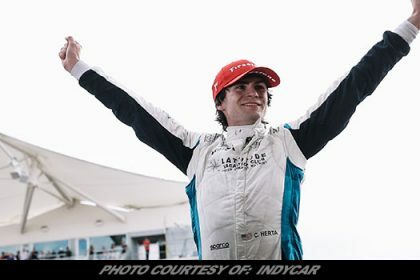 An 18th place finish for Rocco allowed Williams to move into the points lead by six ahead of Rocco. 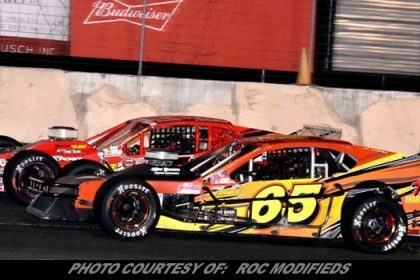 The NASCAR Whelen Modified Tour traveled across Long Island Sound to the Riverhead Raceway on Saturday. 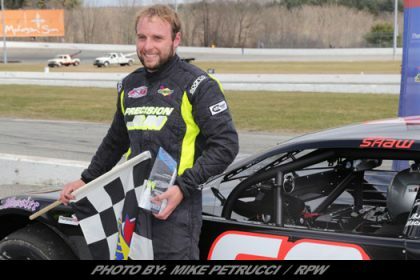 Justin Bonsignore held off Ryan Preece through a furious finish to capture the Buzz Chew Auto Group 200 checkered flag. 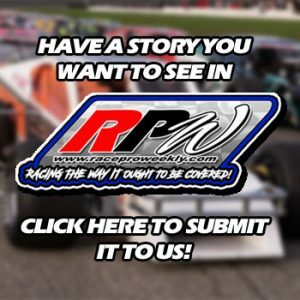 A member of the Long Island Gang, Bonsignore took the lead for good on Lap 171 and drove to his fifth career victory at the Long Island quarter-mile.It marked the 16th career Whelen Modified Tour victory for Bonsignore, who has won four of seven in 2018 as the season nears the halfway point. He now has a 33-point lead atop the standings. 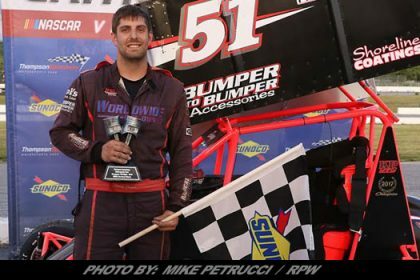 Bonsignore won his seventh career pole earlier in the afternoon, but Timmy Solomito gained the lead from the drop of the green. Preece moved to the front on Lap 19, and it was a two-horse race with Bonsignore from there. Preece had a commanding lead when a caution came out on Lap 100. On the ensuing restart, Preece appeared to get loose, allowing Bonsignore to move to the front. There would be one more lead swap with 60 to go before Bonsignore’s decisive pass. Preece settled for second while Doug Coby came home third as only the podium drivers finished on the lead lap. Dave Sapienza and Solomito brought home the top five. 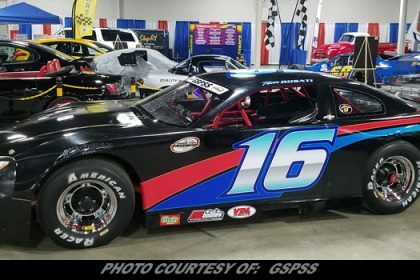 Craig Lutz rallied from a mid-race incident to finish sixth, followed by Chase Dowling, Tom Rogers Jr., Kyle Soper and Ronnie Williams. Dowling is second in championship points, behind Bonsignore and 18 in front of Solomito. Lutz and Preece are fourth and fifth, respectively. An era came to an end last week with the last of the Mystic Missile Modifieds going up for sale. Chuck Hossfeld is the sales agent. The last two, v4 Mystic Missiles are 100% complete. Just add seat. One, 2016 Troyer TA1 with NASCAR spec engine built by Ron Hutter. 6 races on it. $60k. The second is a 2014 Troyer 01-08 style also with a Hutter spec engine built in 2015. $50k. These are turn key complete cars, gas in the tank and air in the tires!. ltant at Jerry Gradl Motors Inc.in Lockport, NY. On the Connecticut shoreline at the New London-Waterford Speedbowl, Todd Owen was the SK Modified winner over Rob Janovic and Kyle James. Ryan Morgan scored a convincing win in the Late Models, Bo Norman won the Limited Sportsman feature, Charles Canfield won the Mini Stock feature and Brett Meservey was the Pro 4 winner. In the 40 lap SK Modified feature, Owen kept digging and digging until he finally struck gold.The Somers Ct driver made several attempts to dive-bomb underneath Rob Janovic Jr. during the first half of the 40-lap SK Modified feature. With 18 laps remaining, however, Owen got a dazzling run off turn 4 and swooped underneath Janovic in turn 1 to move into the lead. He maintained it the rest of the way to grab his second feature of the season. 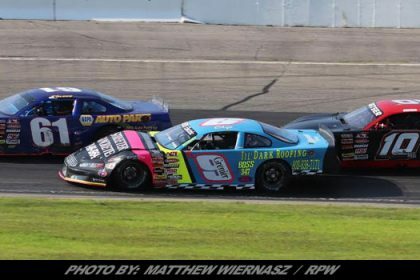 In the Late Models, Mike Benevides led the early laps of the race, however, and then Tyler Chapman took over the lead before Morgan zipped into the top spot on lap 10. He spent the rest of the feature holding off a hard-charging Flannery and Palmer. “It’s great that the three of us are duking it out all the time,” Morgan said. “There was some beating and banging, but we also respect each other.” Morgan also climbed into a tie for the point lead with Jason Palmer. Down in the southland at the Bowman Gray Stadium in Winston-Salem, North Carolina all was quiet as the Stadium celebrated the Fourth of July.